Feel the warmth of a quaint and full of history, but with a modern, vibrant, exotic. Discover a destination for relaxing beaches, world-class restaurants, and the latest in eco-tourism and extreme adventures, all within a internationally recognized framework for its charm and kindness, in an environment of mountains, rivers, beaches and emerald green waves Pacific Ocean. Stroll along the Malecon remodeled, aside from the historical center and the sea, where you can enjoy the many cafes and nightclubs and sculptures exhibited outdoors, Admire the spectacular sunsets! Spend the day at the Playa Los Muertos and meet your new dock. Find a favorite restaurant in the Zona Romantica. Cross a suspension bridge to reach the Isla Rio Cuale and buy something in one of the many stalls that are there. Las Peñas during the boom years of the silver mines near San Sebastian and Mascota. 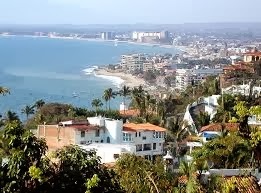 In 1918, Puerto Vallarta was named in honor of Ignacio L. Vallarta , lawyer , jurist and state governor . Puerto Vallarta is truly a worldwide tourist destination has been recognized as the " Most Friendly City " by Conde Nast in 2001 , " World Best Place to Retire " by the AARP ( American Association of Retired Persons ) and " Best Destination holiday in Mexico " by USNews.com in 2010 , " Most Romantic Place in Mexico " and" Preferred Beach Destination in Mexico " by About.com in 2012 , and " Best Place to Convention " at a convention marketing magazine and " Top 10 Destinations in Mexico " by TripAdvisor in 2013 . If you visit Puerto Vallarta for a single day or because you come on a cruise trip , or spend a week or two in our amazing tourist destination , do not worry , you will find a variety of activities for you to enjoy your vacation maximum . In Puerto Vallarta you will find exactly what you want , from hiking and outdoor adventure , relaxation and entertainment to nightclubs or theater . We have fun and activities for all ages and tastes! If you want to spend a relaxing day , take a stroll through the historic center , along the Malecon or the beautiful Isla del Rio Cuale . You can also visit the Botanical Garden and admire the variety of orchids and flowers typical of this region of Mexico . In the afternoon strolling the new Los Muertos Pier and enjoy the fantastic sunsets that can be seen from this point of the Pacific Ocean . Visit an art gallery , most of them located in the center or at the famous Old Vallarta. Time to eat ! Puerto Vallarta offers plenty of options to pamper your palate : Mexican typical food , international or gourmet dishes . Find a wide variety of restaurants that fit the budget of any visitor. Ready for some adventure? Swim with the dolphins , take a water taxi to one of the more distant beaches like Yelapa , notice how the whales come to the surface , go deep sea fishing , or enjoy a cruise with a pre -Hispanic show or pirates. If extreme adventure is more to your liking , you have to go across the world to experience extreme sports and wild eco adventures .